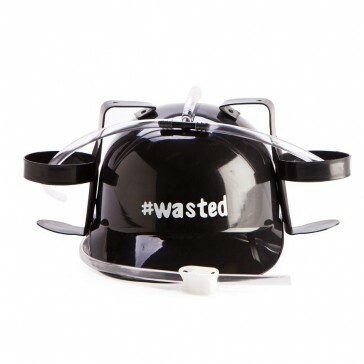 Wanna get #wasted with out using your hands? Well this hat can do just that! The portable #wasted drinking hat holds two drinks of your choice, which you can enjoy together through the straw - providing you with a hands free drinking experience without having to lift a finger!